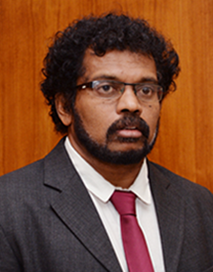 He joined the Central Bank of Sri Lanka in 1990, served in Statistics, Banking Development and Training Departments as a Staff Officer and as Director/Communication Department and the Director of Regional Development Department. Currently, as the Assistant Governor, Regional Development, Communication and Training and Development Departments are under his purview. One of the strategic objectives of the Regional Development Department is to promote and improve financial inclusiveness in the country by implementing number of credit+ schemes targeting MSME sector. He holds an M.Sc in Development Economics from University of Warwick, UK, Postgraduate Diploma in Quantitative Development Economics (QDE) from University of Warwick, UK. and B.Sc (Mathematics) 1st Class Honors from the University of Kelaniya.